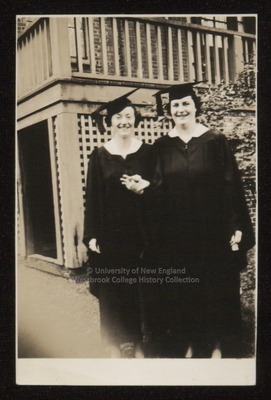 Two Westbrook Junior College students dressed in black Commencement caps and gowns stand side by side with clasped hands in front of Goddard Hall in this sepia toned candid snapshot. On the back is written in blue ink: Bev? & Annie Moore.